I am feeling the urge to start a new project so I will start with a blog post. Since it has been about a month since I posted last, that tells me that posting is a project in itself. I have been very busy with work. It seems Spring has shown itself here and that gets everyone wanting to plant, but Spring here always teases us for a while. It was in the 70's for about 2 weeks then just the other night temps dipped below 40 and froze the basil, some of the marigolds and some coleus. So we will proceed with caution in the garden. 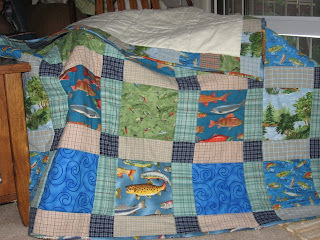 I did manage to finish the fish quilt. It is bound and ready to use. It was a lot of fun and while not perfect...it does pass my inspection for something that I plan to use a lot, later in the year. It is the perfect size for using on the couch. I am thinking of doing a table runner that I saw in the new Fons & Porter Easy Quilts magazine. 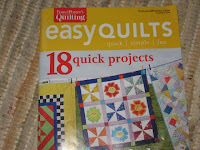 I got a subscription to this magazine when I subscribed to Quilter's Club of America. It was a really great package deal where I get to watch all kinds of quilt programs via the internet at QNN TV and also recieved free samples of pins, thread and a discount card at JoAnn Fabrics among many others. 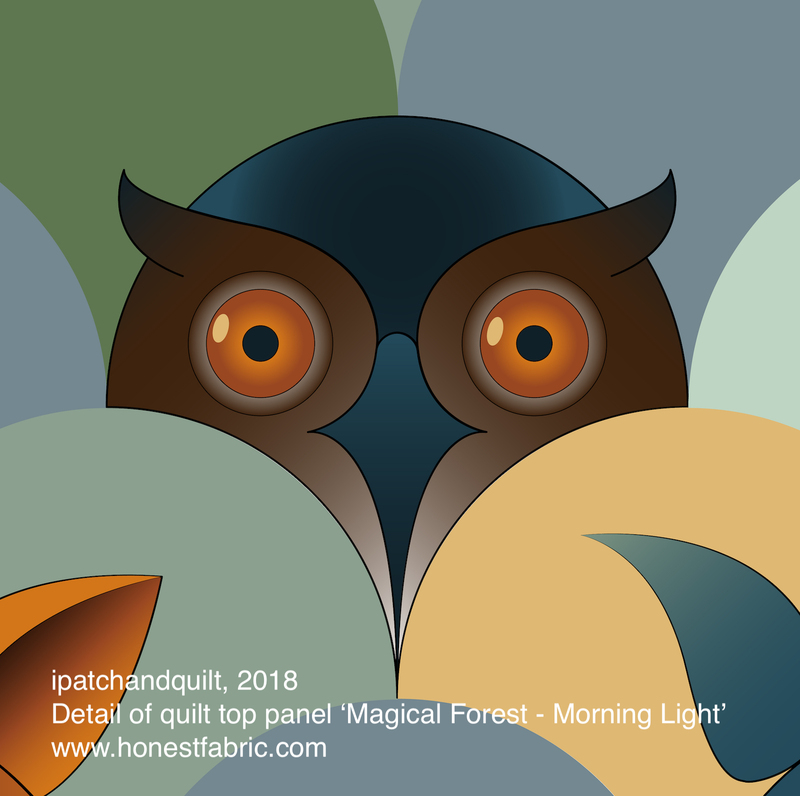 I have been enjoying several of the quilting programs already and love that I can watch them on my own time schedule. So while Michael is watching fishing programs or football I can watch quilting and everyone is happy! We are going to moving to a bigger apartment just across the street in the next 2 weeks and my son Rob will be moving in with us for a while. Moving shouldn't be too big of a job (Ha! ), but it will be a change for us all. It will be nice to have a little more room though. One more thing to keep us busy for a while. 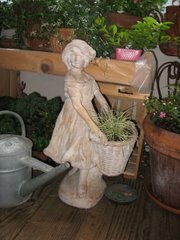 It is forcing us to get our seedlings in the garden and go through all of our things and re-evaluate their importance...there is a little purging going on and what better time to do this then Spring!